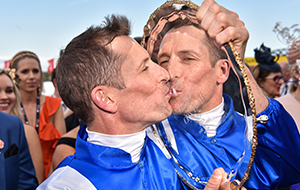 Located 8km from Melbourne’s CBD in the south-eastern suburbs, Caulfield racecourse is readily accessible by car or public transport, linking racegoers with some of Australia’s best racing! ‘The Heath’, as the racecourse has been affectionately nicknamed from its early days, is home to the prestigious Stella Artois Caulfield Cup Carnival which comprises of three outstanding days of racing including the Ladbrokes Caulfield Guineas, Catanach’s Jewellers Blue Sapphire Stakes Day and the Stella Artois Caulfield Cup. Gentlemen Gentlemen and boys over 13 years of age are required to wear a collared shirt and tailored pants with jacket, sports coat or blazer, plus a tie at all times. However, from 1 December until 31 March jackets and ties are optional and short sleeved collared dress shirts may be worn. Ladies Ladies and girls over 13 years of age are expected to adhere to our strict dress code of formal racing attire, in keeping with the distinction of the Members’ Reserve. Children Children 13 years of age and under should be neatly dressed, in keeping with the standard of dress expected from ladies and gentlemen in the Members’ Reserve. Boys must wear a collared shirt and tailored pants at all times. The following items of clothing are not permitted in the Members’ Reserve at any time: pullovers and cardigans (as outer wear), polo shirts, denim jackets, zippered waist length casual jackets, any clothing revealing bare midriff, shorts, jeans, running/sports shoes, thongs or any dilapidated footwear. As a general rule, food is able to be brought on-course, although security staff have the right to remove or destroy any items deemed inappropriate. Glassware and sharp objects are strictly prohibited, bringing alcohol to Caulfield Racecourse is also strictly prohibited and patrons with alcohol will not be granted entry. Fold up chairs and sun shades are able to be brought on the course but they are not to be used in a manner that detracts from the experience of other patrons. Further details are provided in the Club’s Conditions of Entry. Tickets are available for pre-purchase at mrc.racing.com. A limited amount of tickets are also available at the gate. Public seating is provided across various General Admission areas at Caulfield Racecourse, particularly The Front Bar and the David Jones Fashion Stable. Platinum Reserved Grand Stand seating is also available for purchase here. Cloakrooms are available to the Public Patrons and Members. The cloakroom can be located on the Concourse Level, in the Rupert Clarke Grandstand. 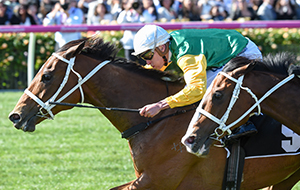 The 2018 Ladbrokes Cox Plate Carnival, highlighted by the Race Where Legends Are Made, is set to be an unmissable 24 hours of sport.